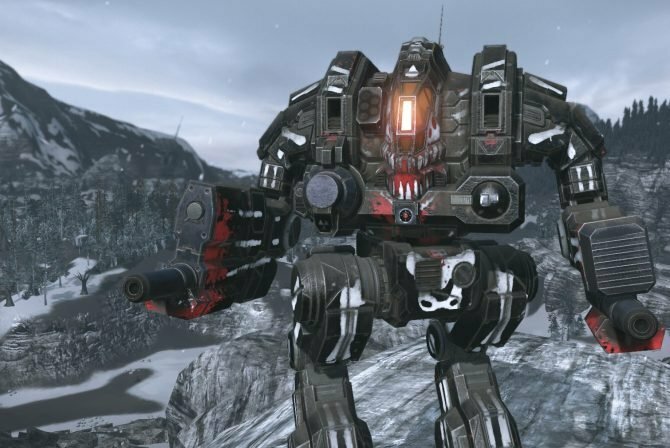 Piranha Games detailed today the ins and outs of faction warfare in MechWarrior Online, slated for release next year. 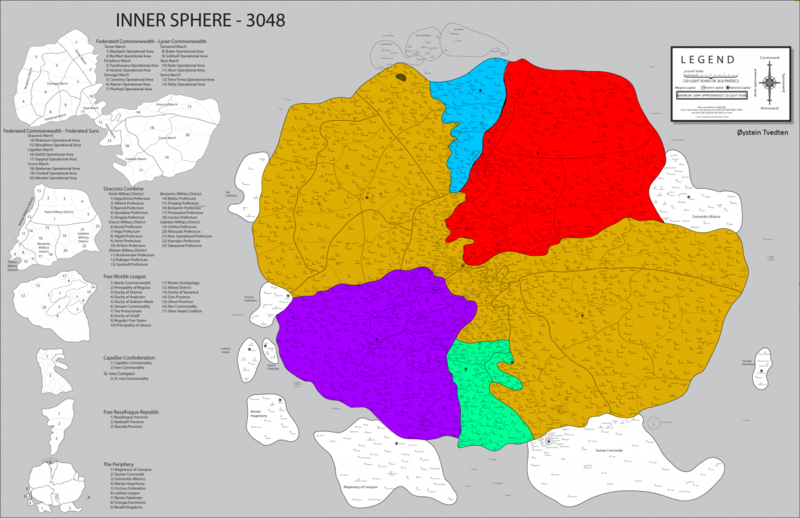 The game will be set in a persistent, conquerable area of space named the “Inner Sphere” (you can see a map above), in which playes will struggle for controls of different planets. Planets will be of different kinds: The first kind is the Core Worlds, that are run by the admins of the game and aren’t conquerable, as they are the setting for important historical events. Then there are Faction Worlds that can be conquered by the five main warring factions present in the game (Capellan Confederation, Draconis Combine, Federated Suns, Free Worlds League and Lyran Commonwealth), and finally the Border Worlds, that can be fought over and controlled by private mercenary corporations, giving significant rewards when held. Everything will happen in real time, as a day in the real world will be equivalent to a day in MechWarrior Online. The admins of the game will provide continuous updates on the historical events of the game through a news feed or a dynamic campaign map. Players will be able to officially join a faction and fight for the control of the faction worlds, or to enroll in a Mercenary corporation and fight for the border worlds, or for the faction worlds when the mercenary corporation pledges loyalty to a faction. They will also be able to play as loners, just participating in random matches. Faction worlds and border worlds will be interchangeable, and the development team will often switch their role to simulate the ever-changing nature of the conflict. Players will earn loyalty points towards the faction they fight for. 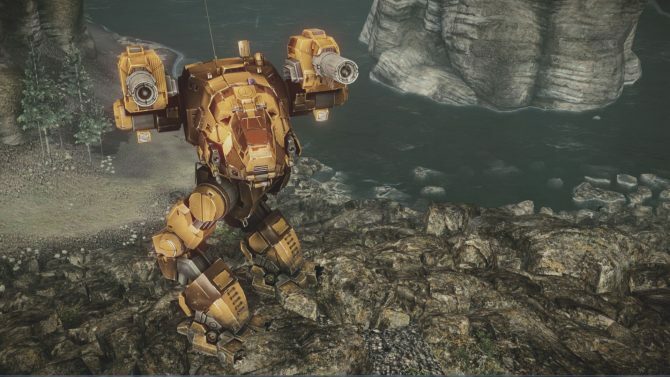 Faction players will gain ranks at predetermined loyalty levels and that will earn them special privileges and items, including membership to special units, unit skins, and bonuses to C-Bills (the MechWarrior currency) and XP. Loyalty points will decay with time and can be lost through negative actions, so a player can be demoted and lose his privileges. Loyalty points gained by mercenary players will go to their corporation. The better standing a mercenary corporation will have, the better contracts it will be able to bid on, opening the ability to fight for the factions in planetary combat. Even here, the lotalty score will decay, so the corporation will have to remain active to stay successful. Lone wolf players will still gain loyalty points, but those will have no effect. Color me very interested. 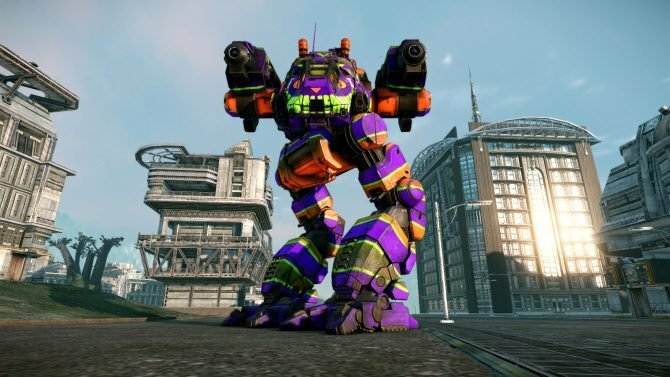 I’ve been a MechWarrior/Battletech player since long before Microsoft set its sights on the franchise, and I can’t wait to see where this MMO will go.